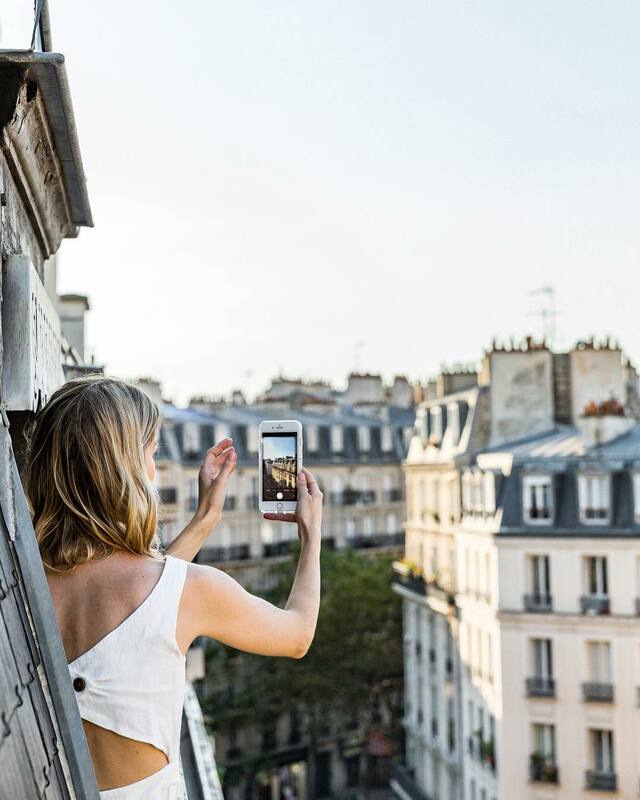 Marissa Cox is a Paris-based lifestyle photographer, blogger and content creator, who focuses on style, interiors, and travel. 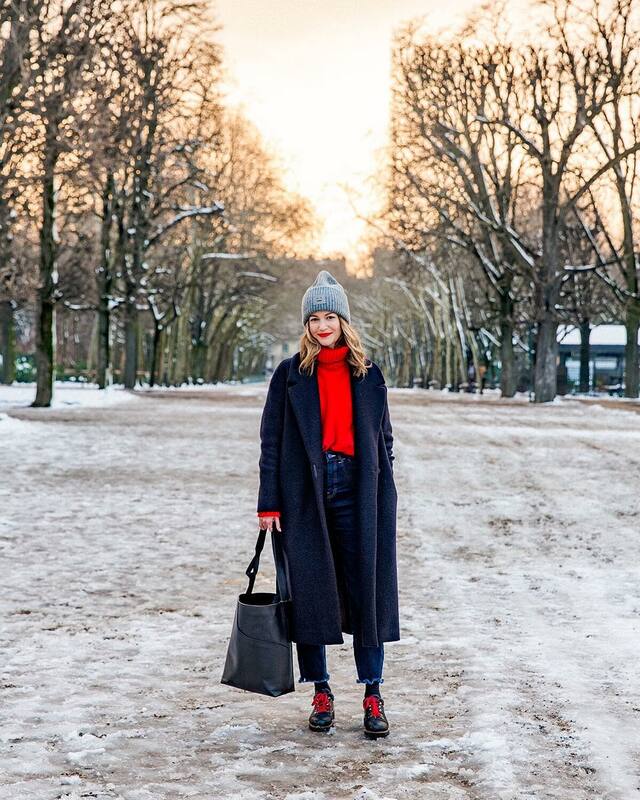 With a background in PR and journalism, she moved from London to Paris in 2013 to pursue photography, other creative freelance endeavours and launch her lifestyle blog Rue Rodier. Now, the high quality content Marissa creates makes her a collaborators dream. After featuring with us on previous partnerships, such as Léo et Violette, it is clear branded content slips seamlessly into her feed. As she continues to grow her established aesthetic, future high end and bespoke campaigns beckon. We spoke to Marissa about her background, inspiration, and what projects interest her most. I have a background in PR & journalism and undertook work experience assisting a stylist at a magazine during university. Whilst holding a part-time job as a PR Manager at Random House, I was also editing an arts, culture and fashion website in London. I was commissioning photographers & writers (as well as writing myself), to create content (although it was called editorial features at the time), which I loved. So when I moved to Paris I decided to start my own editorial space on the Internet. The move was the catalyst to finally delve more into creating. I taught myself photography and started taking Instagram, and therefore content creation, more seriously - and it went from there! Travelling, art, – (thankfully) my parents dragged me to exhibitions as a child and it’s now one of my passions - and magazine editorials. I love Porter Magazine, The Gentlewoman and Holiday, and reading interviews with inspiring individuals. But, I’m also as inspired while riding a bike around Paris or reading fiction (currently Call me By Your Name) and non-fiction entrepreneurial books. Of course, I'm also inspired by another fellow Instagrammers/ Influencers, but I try to look outside of the app for inspiration. I’m still grappling with this actually. It’s been a conscious decision to keep my personal life private, although I would like to share more of it in the future. What is the best-kept secret in Paris? The hot chocolate at the Grand Café Tortoni by Buly 1806. I don’t really eat sugar anymore, but I can’t resist a good hot chocolate during the winter, and theirs is my favourite. I also love the interior of the café and of course, the brand is very inspiring. The founders revived a 19th century apothecary, adding their own contemporary twist and turned it into a global cosmetics brand. Although the aesthetics, packaging, and ingredients remain faithful to its historical heritage, it’s very modern. This juxtaposition of old meets new is quintessentially Parisian and what I love about the French capital. If you want to be good at something you need to practise! I still have so much to learn when it comes to photography and content creation. My advice would be; watch online tutorials, find and meet people in the industry, and don’t be afraid to ask questions. For the moment a Canon 6D and a 24-70mm lens. I edit with Lightroom and do any re-touching on Photoshop. I’ve always thought I err... am on the side of minimal, but my images come out a lot more colourful & busy as of late. I’m quite indecisive, I feel like my editing process changes every couple of months. So I don’t know if I can describe my aesthetics as they are always morphing, but I’m trying to create an aspirational lifestyle aesthetic that is still attainable. I didn’t speak French when I moved to Paris. I actually studied Spanish at university and did an Erasmus study abroad programme in Valencia, Spain. It was never my plan to move to Paris! I’ve worked with some really incredible brands, which I’m very proud of, such as the likes of Sisley Paris, Maison Chaumet, Made.com and La Prairie. However, I think my favourite pieces of work are the interviews that I do with inspiring women in their homes or studios for my site, ruerodier.com. It is that type of content I’m hoping to produce a lot more of in the future! The people I’ve met and the experiences I’ve had, I’ve made some wonderful friends since my transition into blogging. Earlier this year I went to Ile de Re for a project with Claudie Pierlot to visit the late designer’s home, which was incredibly inspiring and I recently went on an exciting press trip to London with Jo Malone, which involved helicopter rides over the city, flower workshops and a delicious brunch in the most beautiful setting. Favourite people to follow on Instagram? @alyssainthecity and @hannastefansson for their eclectic style. @alex*_*elle for her inspiring and life-affirming words. @saasha*_*burns for her over-all lifestyle aesthetic. @eyeswoon for interiors and a life lived very beautifully. @parkncube, @oraclefox and @beatrice.gutu for their creativity. Trust your gut and follow your dreams, and don’t settle for anything less than you think you deserve. Big words, which I’m still working towards! What words sums up your job title?